Support and updates for the xmp3mini music player website add-on application. See the help page included with your download for the correct support links and setup info. To get started, open the "xmp3mini-help.html" included with your addon download .zip file. Follow the steps as outlined on the help page and refer to the options section for more setup info. Click below to view a description of the variables in the "player-1.js" file. If you have purchased the xmp3mini player you can download these items to add to your player. Sets up the player in a small message style. See the README.txt in the download to set this up with your player. In the xmp3mini player download, the stop buttons have a 3D look. If you use the 59 pixel wide "message" style then the stop buttons may not look centered properly. See the README.txt in the download to use these stop buttons with your player. Only use these buttons if you are setting up your players as 59 pixels wide. The xmp3mini Flash / HTML5 player defaults to using Flash to play all mp3s. This allows for the highest compatibility using only mp3 files. In the backup HTML5 code an option is included in the "player-?.js" files to set an .ogg music file to play. This option is the backup for the Firefox and Opera browsers that is used only if the user does not have Flash installed. This is added because these 2 browsers can not play mp3 files using HTML5 code due to licensing restrictions. Both Firefox and Opera fully support Flash at this time. 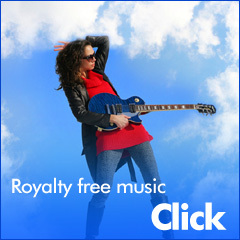 Convert all your mp3s you are using on your website to .ogg. Keep both the .ogg and .mp3 files. In each "player-?.js" edit the var "song_nameOGG" with the name of your .ogg music file. Upload both the .mp3 and .ogg files. Make sure your hosting account allows for the mime type .ogg or have it added. You can test the .ogg files by editing the "MPMshowsflash" to "no" in your "player-?.js" files. Be sure to also test .ogg files once uploaded to your hosting space. In the "skins" folder in the "xmp3Player-mini" folder, create a new folder with your new skin color name. Make this all capital letters. For example make a new folder named "BROWN". Copy the 5 .jpg images from any other color folder into your new folder. Example: Copy the images from the "RED" folder into your new "BROWN" folder. Edit these 5 .jpg images in any graphics program. .PSD Photoshop files are included in the "extras" folder. In the "colors" folder in your "xmp3Player-mini" folder, make a copy of the "RED.txt" and rename that "BROWN.txt". Edit the "BROWN.txt" and replace "RED" in 4 places with "BROWN". All capital letters. Edit any one of the "player-1.js" files with your new color. Example: Replace "RED" with ""BROWN" in the "player-1.js". Test the new color on a page you have added the player to. Update 5/26/2011: The "xmp3mini" mp3 player has been updated to include HTML5 fallback code. If you have purchased your player before 5/26/11 you can contact us for the updated download. Mini HTML5 Mp3 Music Player Skinnable mp3 HTML5 with Flash fallback website music player application. Music Web Layouts Responsive web design templates for musicians and recording artists. How HTML5 Works Basic understanding of HTML 5 and CSS 3 used in website building. Web Site Video HTML5 video plugin for any website.